Just like Green tea leaves, White tea leaves come from Camellia Sinensis plant with the difference that white tea leaves are harvested at a younger age than green tea leaves. 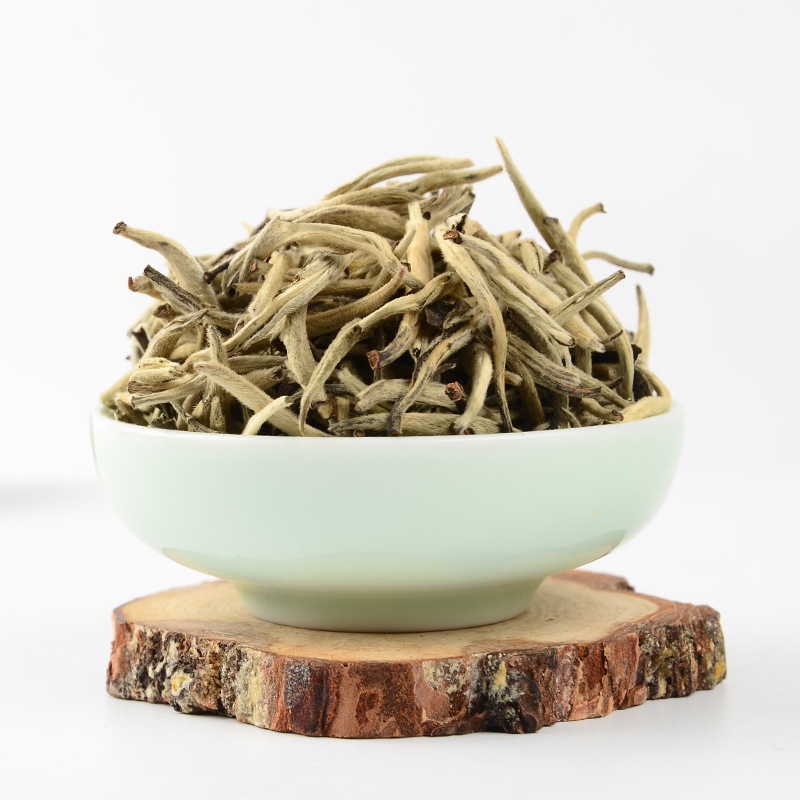 No additional processing is required for white tea as it is steamed rapidly and then dried. Therefore it retains a higher amount of antioxidants than green tea. These antioxidants help in promoting health including boosting cardiovascular health, helping to lower cholesterol etc. As it is minimally processed, it is one of the most delicate tea varieties and should be handled with care. 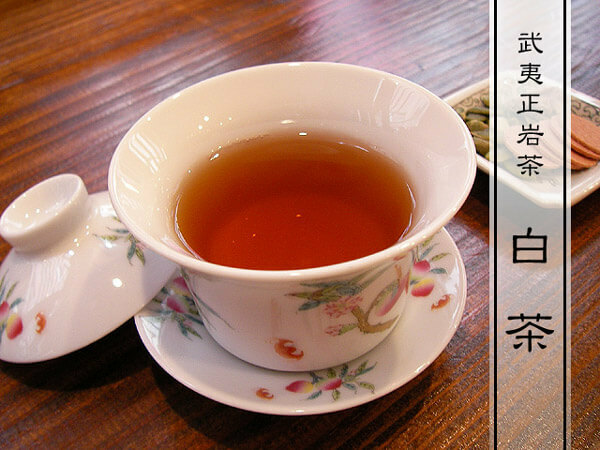 The tea has much softer and delicate flavor profile than its green or black tea cousins. White tea is more expensive than other types of tea as it can only be handpicked before the early spring. As soon as the buds are plucked, they are simply allowed to wither and dry in carefully controlled environment resulting into most delicate and garden tasting tea. Minimal oxidation occurs as the buds are allowed to dry naturally. The amount of caffeine in white tea is far less when compared to black tea, green tea or coffee. With plenty of health benefits that can be accounted for after several studies, white tea is considered to be the best alternative to coffee which contains a high percentage of caffeine. It retains high levels of phytochemicals due to less processing and hence possesses nutrients and antimicrobial qualities that protect the body against the occurrence of diseases. Out of the above types, White Peony and Silver Needle are the most popular ones. 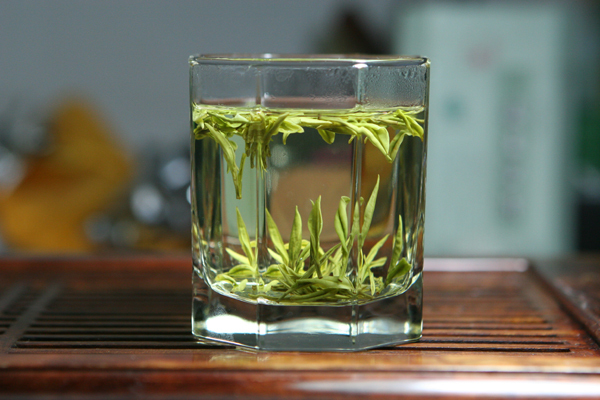 White Peony, made up from first and second tips of a tea stem, is the best quality white tea. Silver Needle is the most expensive of the White Teas as it is made only from the single tips of the tea set which when dried, looks like silver needles. Tannins- Presence of Tannins is useful in warding off a lot of conditions. Epigallocatechin Gallate And Other Catechins- Presence of Catechins helps in fighting chronic diseases like Cancer. White tea is a great source of antioxidants and polyphenols which fight against cancer. White tea has positive effects on metabolism that blocks cancer causing effects. Flavonoids present in the white tea help in decreasing the blood pressure and improving dyslipidemia, endothelial fiction and therefore reduces the risk of various cardiovascular disorders. It contains polyphenols, flavonoids, and tannins which help in hindering growth of various bacteria which causes plaque formation. Due to its antioxidant properties, white tea helps in quick repair and recovery of damaged skin and protects skin against effects of Ultraviolet light. Its antibacterial properties protect our skin from bacteria and germs. White tea consumption protects our body from infection causing bacteria and other microorganisms. Obesity is one of the biggest problems that maximum of the population is facing today. White tea is one of the best solutions for it as it burns the existing fat cells and prevents the formation of new ones. White tea has antiseptic and antioxidant properties that protect the skin from cellular damage and keeps it healthy. It provides relief to diabetic people from symptoms like excessive thirst, decrease in plasma glucose levels and increase insulin secretion. As white tea is a good source of catechins and antioxidants, its intake is good for improving memory. Consumption of white tea twice a day will give you relief from stomach cramps, nausea, and acidity within no time. It contains L-theanine and a little amount of caffeine which increases the level of alertness and reduces tiredness. Having white tea regularly can help prevent wrinkles and loose skin as it is rich in polyphenols that help neutralize the free radicals. How to Make a White Tea? How Much White Tea in a Day is the Ideal Consumption? Ideally for a daily routine, having 2-4 cups of tea in a day is perfect. Having white tea is preferred to having coffee or black tea because of its less caffeine intake. The used white tea leaves can be used twice in a day saving your money as well as efforts.